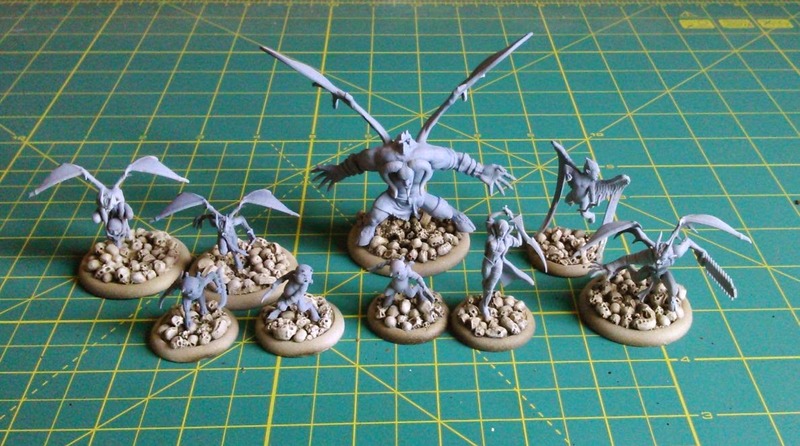 Time to start another project - this time it's going to be Lilith's crew from the "Mother of Monsters" box along with some extra Nephilim. I chose to work on this whole batch as I'm going to work on a few simultaneously. This is one of these crews that features a few similar models, so that should speed painting up a little. I chose skull bases from Micro Art studio as I thought they fit in thematically well with this crew. The Nephilim are ferocious beasts with deep hatred for... well, pretty much everything so I thought these would nicely highlight their savage nature. And that's it for now, more updates later next week!